3Pillar’s Heather Combs will moderate a panel at the IES Women in Sales Q2 Straight Talk Panel Discussion on April 13th in Vienna, Virginia. The panel, titled “Negotiating to Win,” will focus on the issues that women face while navigating the workforce, and how to best succeed in these instances. Heather is moderating this panel, which will include Fran Craig, the CEO of Unanet, and Donna Hoffman, the Founder of Women on Course. The event begins at 7:30 am with networking, followed by the panel starting promptly at 8:00 am. Once the panel concludes, participants will be able to network until 9:30 am. 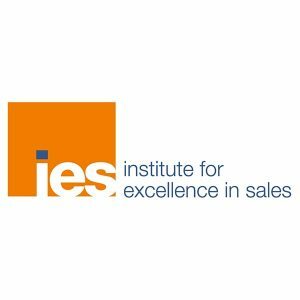 The IES Women in Sales program gives women sales professionals the opportunities to become a part of a strong, supportive community, grow their networks, develop business, and grow as sales leaders. This program provides members with a collaborative and motivational community within which they are able to explore and discuss issues and challenges, as well as current topics of interest to women in sales. Heather Combs is 3Pillar’s Chief Revenue Officer. She oversees 3Pillar’s Marketing & Client Services teams and is responsible for driving 3Pillar’s continued double digit revenue growth. In addition, Heather focuses on ensuring 3Pillar’s clients have the best experience possible working with a product development partner by matching 3Pillar’s services with market demand. Heather works closely with 3Pillar’s delivery organization to ensure our clients have access to the services and teams necessary to build industry-leading software products. For more information on the IES Women in Sales event, as well as how to register to attend, please visit the official event website.